This is the stuff we have to be on the look out for today!!! A 1500-year-old Bible that was discovered by Turkish police during an anti-smuggling operation in 2000. The Vatican has requested that Turkey allow it to examine a 1500-year-old Bible that was discovered by Turkish police during an anti-smuggling operation in 2000 and handed over to the Ankara Ethnography Museum, the Turkish Bugün daily reported on Thursday. The daily said the Bible is reportedly written in Aramaic, the language of Jesus, and is said to be worth TL 40 million. According to the report, the Bible was seized from a gang smuggling artifacts during a police operation in southern Turkey in 2010 and reportedly preserves its originality and many traces of the period it's from. The gang was reportedly convicted of smuggling various items seized during the operation, including the Bible, and all the artifacts were kept in a safe in the Ankara Courthouse. The Bible, which was reportedly kept in the courthouse for years, was only recently handed over to the care of Ankara Ethnography Museum. The leather-bound Bible is written on leather sheets and is now under protection as it is regarded as a valuable cultural asset. Even a Xerox copy of pages from the book is reported to be worth as much as TL 3-4 million. Another Turkish daily, the Star, has claimed that it may be a copy of the much-debated Gospel of Barnabas, which Muslims claim is an original gospel that was later suppressed -- the oldest copies of this gospel date back to the 16th century and are written in Italian and Spanish. However, the Gospel of Barnabas is not included in the four gospels that currently comprise the canonical New Testament -- Matthew, Mark, Luke, and John. The Gospel of Barnabas contradicts the canonical New Testament account of Jesus and his ministry, but has strong parallels with the Islamic view of Jesus. Much of its content and themes parallel Islamic ideas and it includes a prediction by Jesus of the Prophet Muhammad coming to earth. Yeah, we need more info as to what this book actually is. A bible? Uh, no. Manuscripts? Maybe, but in Aramaic? Not likely. I'd say it's just another "lost gospel" that the RCC pushes. Being in Turkey, I'd say odds are good that it is a Muslum-created fake. Iran’s Basij Press is claiming that a version of the Gospel of Barnabas, found in 2000, will prove that Islam is the final and righteous religion and the revelation will cause the collapse worldwide of Christianity. Turkey confiscated a leather-bound text, written on animal hide, in an anti-smuggling operation in 2000. Turkish authorities believe the text could be an authentic version of the Gospel of Barnabas, one of Jesus’ apostles and an associate of the apostle Paul. This version of the Barnabas Gospel was written in the 5th or 6th century and it predicted the coming of the Prophet Mohammad and the religion of Islam, the Basij Press claims. 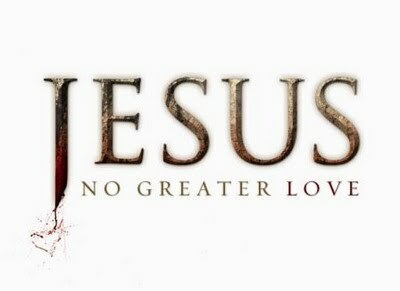 However, religious scholars have said another version of the Barnabas Gospel, discovered a century ago, was written less than 500 years ago, which would post-date Mohammad. In Chapter 41 of the Barnabas Gospel, Basij claims, is this statement: “God has hidden himself as Archangel Michael ran them (Adam and Eve) out of heaven, (and) when Adam turned, he noticed that at top of the gateway to heaven, it was written ‘La elah ela Allah, Mohamad rasool Allah,’” meaning Allah is the only God and Mohammad his prophet. The Turkish army has taken possession of the Barnabas Gospel because the “Zionists” and the governments of the West are trying to suppress its contents, Basij Press claims. Interesting that it's dated around the same time that Islam was invented, and when the RCC was getting really cranked up. But I must say this claim fits what I suspected would happen in relation to the Antichrist, if it were to be a Muslim, which I have strong suspicion that's where he will come from, Islam, and the False Prophet is the RCC's pope. It really fits when one considers the evidence that Islam has been at the least pushed by the RCC, if not outright invented by it. There is a lot of evidence that the RCC was involved in the creation of Islam. Muhammad was picked by a catholic monk, his first wife and brother in law and uncle were catholic, the Koran venerates Mary to a super high degree that even muslims pray to the Queen of Heaven, and acknowledge the demons appearances. Less not forget about the so-called "truth movement" and their stance against Israel and sympathies toward Islam/Palestineans. Same with both political parties - Democrats have the same stance as the "truth movement", and while Republicans (supposedly)support Israel, they have this misperception that the liberals that run the MSM are Jews. The Emergent/Postmodern New Age Church is anti-Israel, and is doing everything they can to unite with Islam. You guys may be on to something...the Antichrist being Islam could be the "strong delusion" Paul preached about in 2nd The 2? The Marian and Fatima visions that Catholics and Muslims share are both similar, perhaps the RCC will declare that the two are the same to get the Muslims on their side again, spiritual deception being on the increase. Thought to be an authentic version of the Gospel of Barnabas, Discovered. A leather-bound religious text, thought to date from the fifth century but discovered only 12 years ago, will cause the collapse of Christianity worldwide, claims Iran. 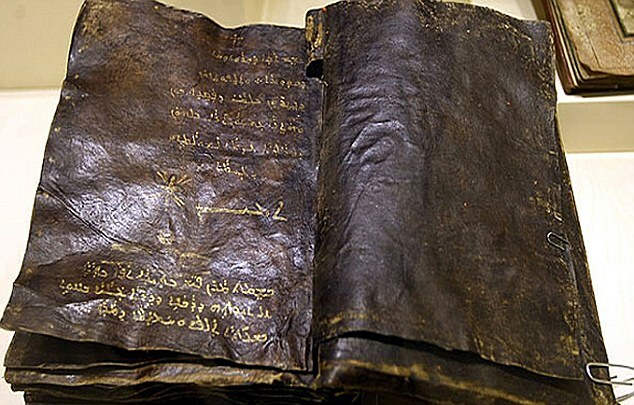 The book, written on animal hide, apparently states that Jesus was never crucified and that he himself predicted the coming of the Prophet Muhammad, according to the the Iranian press. Written in Syriac, a dialect of Aramaic, the gospel even predicts the coming of the last Islamic messiah, the report adds. Turkish authorities believe it could be an authentic version of the Gospel by Jesus's disciple Barnabas, and the Iranian press report has claimed that its contents will trigger Christianity's downfall by proving that Islam is the final and righteous religion. Others have dismissed the Iranian claims as 'laughable' anti-Christian propaganda. The Basij Press claims the text was written in the 5th or 6th century and it predicted the coming of the Prophet Muhammad and the religion of Islam. It says the Christian world denies the existence of such a gospel. Basij claims that Chapter 41 of the Gospel reads: 'God has hidden himself as Archangel Michael ran them (Adam and Eve) out of heaven, (and) when Adam turned, he noticed that at top of the gateway to heaven, it was written "La elah ela Allah, Mohamad rasool Allah",' meaning Allah is the only God and Mohammad his prophet. Turkish authorities seized the text in 2000 in a crackdown on a gang who were charged with smuggling antiquities, illegal excavations and the possession of explosives. But excitement at the find only peaked in February this year, when it was reported that the Vatican had made an official request to view the book. It is not known whether the request was granted. Its origins are unknown, but National Turk reported that the book had been kept in the Justice Palace in the Turkish capital, Ankara, and was being transferred under armed police guard to the city's Ethnography Museum. The Basij report suggests that the discovery is so immense that it will shake world politics. 'The discovery of the original Barnabas Bible will now undermine the Christian Church and its authority and will revolutionize the religion in the world,” it states. Although Turkish authorities believe the text to be genuine, other observers have questioned its authenticity. Erick Stakelbeck, a terrorism analyst and a close observer of Iranian affairs, told WND.com: 'The Iranian regime is committed to stamping out Christianity by any means necessary. Phil Lawler, writing on the Catholic Culture website, described the claim as a 'laughable Iranian challenge to Christianity'. Laughable is an understatement! A 1500 year old lie.